FAYETTEVILLE (WTVD) -- A 77-year-old man is dead and a woman is seriously injured after a car crashed into a tree in Fayetteville. The incident happened just after 11 Thursday night on Pennsylvania Avenue near Ernest Street. Reports show Eddie Arrington was driving on Ernest Street when he went through the intersection of Pennsylvania Avenue, ran off of the roadway, and struck a tree. 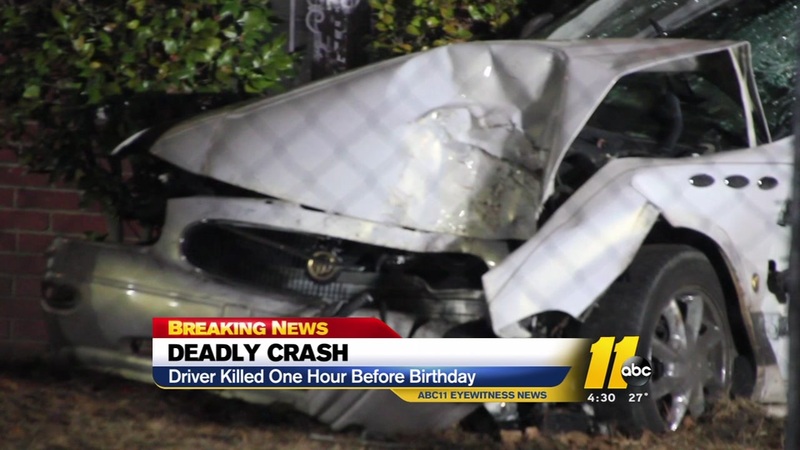 Police told ABC11 crews Arrington - who would have celebrated a birthday on Friday - was pronounced dead on the scene. The passenger, 53-year-old Renan Wilson, was taken to the hospital with serious injuries. Officials have not commented on why Arrington ran off of the road. Original reports state officers believe alcohol may have been involved; however, an investigation is ongoing.